Lewis was not a universalist. He was not a closet compromising-with-Satan “pagan” either. He believed the essentials of the faith: that he was a sinner and that Christ, by grace, saved him. That, at the core, makes one a Christian. Last night I was shown another one — a website whose evangelical authors, surely with the best of intentions, ripped not only multiple C.S. Lewis quotes, but his whole life, out of context. Lewis clearly believed in Hell, and was not a universalist as some falsely accuse. Thus we must address his direct, written agreement that Hell is real, just and permanent. 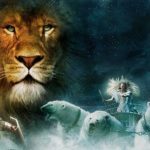 The character Emeth going to “heaven” in The Chronicles of Narnia: The Last Battle is at best unclear, given that Narnia is a supposal, not allegory, and the variety of themes and interpretations that can be drawn from the vaguer-in-a-story Emeth Element. Real Christians read Scripture (or should read it!) with right hermeneutics, not basing a whole System of ideas upon obscure verses, but instead seeking to let clearer passages interpret unclear ones, with heed to the original culture in which a book/text was written. Similarly, those who accuse Lewis of being a universalist need to survey his whole life and direction, and not let certain story tenets (which could “go” one way or the other!) not define his clearer statements. No matter how much we may like Lewis, this is simply a profound misunderstanding of the Spirit’s mission (and a rejection of John 14:6). The work of the Holy Spirit is to bring glory to Christ by taking what is his–his teaching, the truth about his death and resurrection–and making it known. The Spirit does not work indiscriminately without the revelation of Christ in view. Whether or not Lewis later revised his view, it is impossible to resolve it with Scripture. But is it heresy? After all, many Christians have similar-sounding beliefs about people born with mental issues, or children who’ve died in infancy. And as a scholar in such a secular realm, with even more anti-Biblical ideas about, should Lewis be faulted too much for buying into one early on? One has to remember when reading Lewis that he is at heart a Medievalist even if his theology is basically Anglican. 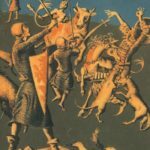 When reading Medieval works like Dante’s Divine Comedy (which had a profound effect on Lewis) we find that the “Noble pagans” like Socrates, Plato, and Virgil, are placed in a sort of limbo where they are not suffering and yet there is no light. I think Lewis has something of this in mind, taking some cues from George MacDonald to embellish it (though not taking it to MacDonald’s universalist extreme). He is saying that Emeth had Tash and Aslan confused because of his cultural background. I disagree, but it’s not as bad as many would think. I also disagree, but reiterate this: it’s not as bad as many would think. True Christians may believe wacky and/or un-Biblical things, such as: the King James Version (which one?) is God’s inspired Word even more than the manuscripts from which it was translated; the sun orbits the Earth; Madalyn Murray O’Hair and the FCC tried to ban Christian television in 1996 (sadly, they did not succeed); or Christians who read Harry Potter open themselves to demons. More specifically about salvation, true Christians who understand that Jesus, God’s Son, died for their sins, may also believe that if you don’t speak in tongues, you don’t have the Holy Spirit. They may, out of ignorance, disbelieve in the Trinity — a crucial doctrine for understanding how God works. They may be even fuzzy about the doctrine that Christ was born of a virgin. But does that automatically rule out their salvation status? Author and professor Mike Wittmer suggests no. Why? There’s an ignorance clause. Christians may not know some crucial Biblical truths, but they must not willfully reject them. 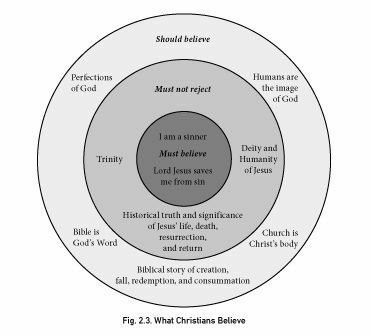 His beliefs-target diagram has gotten about the internet: showing, in the center, truths that Christians must believe to be saved; in the middle, truths that Christians must not reject if they hear and understand them; and in the outside, truths that Christians should believe and study. So — perhaps after checking that suggested diagram to ensure we’re in the faith! — I would put Lewis through these questions. For the center circle: Did he believe he was a sinner and that the Lord Jesus saved him from his sin? Most assuredly. From the outside circle: Did he accept the orthodox (though slightly less vital) beliefs about final redemption in a physical New Earth and the Church’s nature? Not all of it. He also smoked tobacco all his life (! ), as the Lewis-criticizing website I mentioned above gravely notes. But that doesn’t make him a heretic. The most interesting part comes in that center area of things Christians must not reject. Lewis was fuzzy about the Atonement, the nature of the Trinity, and — I would add this to it — the ultimate cause of Hell and sinners’ eternal punishment, and what “total depravity” means. He did not have access to the same resources that more-Biblical Christians may have today. Therefore, I contend, Lewis was likely not directly exposed to those ideas and did not knowingly reject them for the reasons we hear from actual “heretics” today: humph, that’s not “my” God. The same is true of a Oneness Pentecostal acquaintance I have, who I think simply hasn’t seen what the Trinity doctrine really states and defines. It’s true of Christians who are hooked on conspiracy theories about Satanism and C.S. 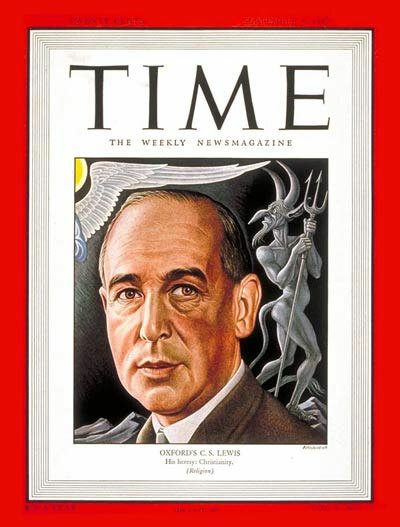 Lewis, and for whatever reason refuse to let the God of truth sanctify how they practice truth-telling in those areas. And let’s admit it: this is also true of so many of the early Church fathers, whose beliefs excelled amidst the doctrinal conflicts of their days, defending the faith in those areas, even if they faltered in other fields. C.S. Lewis, though not a theologian and not a church father, is very similar to them: in the doctrinal areas under greatest assault in his society, he excelled. 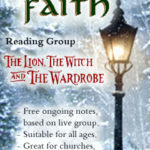 Rebutting unimaginative Christianity, he gave us The Chronicles of Narnia. Striking back against intellectual attacks on Christianity and anti-intellectual responses from other Christians, he gave us brilliant nonfiction. He was not a universalist. He was not a closet compromising-with-Satan “pagan” either (that could be another series). From what we can tell, he believed the essentials of the faith: that he was a sinner and that Christ, by grace, saved him. That, at the core, makes one a Christian. What does that mean for those who insist he was a heretic and/or a universalist? It means that if they’ve read this far, God bless ‘em, they’re now responsible for what they’ve read — just as Lewis would be, had he read and engaged a firm defense of Christ’s absolutely-exclusive claims and rejected them. Here I’ve attempted to show specifically that Lewis did not accept the false notion of universalism. The other attacks I may handle another time, such as the “pagan” thing. But on this issue, if you go on from here and say again “Lewis was a heretic” or “Lewis believed in universalism,” etc., after already having been corrected and told how to verify it yourself — that is not Biblical discernment or even understandable ignorance. Instead, at best it’s willful ignorance; at worst, God-dishonoring slander of a fellow believer. Yes, I know that it can be tempting to push back against Lewis’ popularity, especially because of many evangelicals who may actually over-value his works, quote them nonstop, or use his views in defense of anti-Biblical ideas and practices. And yes, as a general rule, if someone or something is popular with The World, that’s a good signal for Christians to push back. But that alone is no reason to reject all of Lewis’ life and works. Christians should not live as if they must constantly Avoid Whatever is Popular in Culture, but instead live according to Christ. If culture happens to echo that, great; if culture doesn’t, we oppose that. But our goal is to be for the Biblical Christ who’s saved us, not merely Against All of The World. His popularity aside, Lewis was and remains a voice that glorifies God. Truth-minded Christians should thank Him for that. An excellent series; thank you for the time and thought you’ve put into this. I especially like your closing remark that Christians should not live as if they must constantly Avoid Whatever is Popular in Culture, but instead live according to Christ. Well said. Shucks, it’s always nice to be quoted. I remember hearing a theology professor of mine say that if you are studying theology and haven’t had to wrestle with the questions of inclusivism and universalism, you will, because of the universal language used in the Bible to describe the effects of Christ’s sacrifice. Certainly if one reads the church fathers on the subject, there is a clear wrestling with this question. If we are to be faithful and Biblical theologians (which is what all Christians of sound mind should strive for) then we must wrestle with these questions and not judge those who disagree with us too harshly. We’re just as fallible as they, and if we’re right about anything, it’s by the grace of God, not because we’re smarter or more spiritual. And frankly, Lewis himself admitted that he was only an amateur when it came to theology, and that if one had to choose between him and a classic author of Christian thought, one should go with the latter. I don’t think that there was anyone who disapproved of the cult of Lewis more than Lewis himself (one of the reasons why I admire him, actually). Lewis is not (like Calvin, Luther, Barth, or Athanasius) speaking with authority, and should not be taken as doing so. I frankly don’t see what’s wrong with universalism period. I wrote a whole evangelical universalist sci-fi novel on the Macdonaldian model and I know I can’t get it published because it’s too liberal for the evangelicals and too conservative for the mainstream. Still love your blog though guys. Appreciate your support and readership, John! At the same time, it’s just impossible to make universalism square with (Lewis’s rationale) here, Scripture, the Church’s teaching through the ages, and plain reason. I don’t mind explaining more here about why I (and orthodox Christians) believe this way, but it sounds like you’ve already made up your mind on the issue. My guess is that’s a result of a different, salvage-style way of reading Scripture, taking a piece of it (such as “God is love”) away from the whole, and forming an internally consistent belief System whose tenets match each other, but not the Word. This comment is not a reflexion on C.S. Lewis but the topic in general. There are numerous thoughts on the subject of universalism but the one that is most dangerous is what they call “Christian Universalism” (the epitome of an oxy-moron). There are those that believe exactly what the chart shows in fig 2.3 but yet believe in universalism. There are two main thoughts. 2. Jesus is your Lord and Savior. You truly believe your salvation is found in Christ but you only believe it to be true for you and not others. The Gospel is not for everyone so others can find a different path to the same God, as in Buddhism, Hinduism, Jehovah Witnesses, Mormonism or one of the thousands of other “paths”. Are these people really saved by faith in Christ? I say no. The Jesus of the Bible is the ONLY way to be forgiven and the only way to eternal life. Those aren’t my words, they’re His. The circle chart above is good but it doesn’t come close to explaining enough. 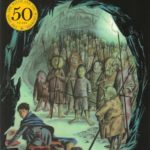 Is Lewis a universalist? I’ll have to ask him some day. Steve — for that question, you might also consider Lewis’s words about Hell and its reality, and finality, in The Problem of Pain and also quoted in part 1. Also, I would sadly venture to say that someone who believes in universalism consciously and intentionally, without recognizing that it is through Christ alone and a conscious act of willful repentance and faith (thanks to the Spirit’s work), may not be headed for Heaven. Thus he will be unavailable to ask — only to be asked about. I wasn’t saying that Lewis is a universalist. The joke was “I’ll have to ask him”. If I was able to ask him then obviously he isn’t a universalist. However there are universalists that believe in Hell but it’s only for what they consider to be the worst of the worst… murderes, child molesters and such. The rest of the average sinners get a “get out of jail free card”. LOL. I do the same thing. I also post comments while at at work, then get inturupted (how dare they) and completely loose my train of thought. I end up sounding like an idiot with no point to what I have to say. Just wondering where you got the “what Christian’s believe” target. I’m writing an article with the same concept and can’t find the original source. Thanks, Eric. I quoted from (also from the end of the quote above) An Interview with Michael Wittmer at the Between Two Worlds blog, by Justin Taylor, Dec. 8, 2008. I don’t deny that those whole-heartedly labeling Lewis as a Universalist are misunderstanding, but I also have to think there’s a level non-understanding of Universalism on your part. Theologically, it’s quite a bit wider and more conservatively centered than its literal definition might portray it as. Teddy, the broad definition I went with is “Any belief that says all people eventually, somehow, are saved.” What’s your definition, then? Also, I know many beliefs that are “conservatively centered” or seem that way — Mormonism, for example — but still aren’t based in Scripture. That’s my question about a belief, instead of “does it sound conservative enough?”. Moreover, my insistence on Biblical foundation isn’t out of some sense of obligation, but out of love for the God Who loves me.